Hi Everyone. 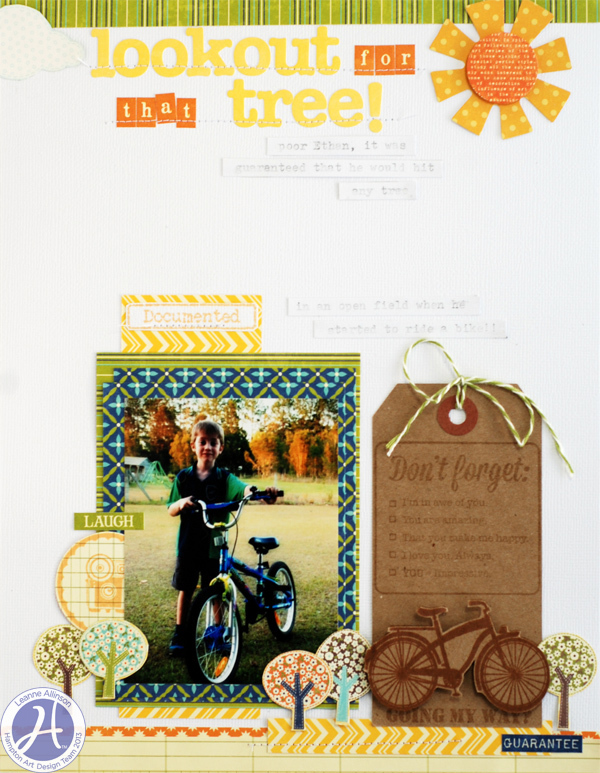 It's Leanne here today to share with you a fun 8.5in x 11in layout. I absolutely fell in love with the bicycle clear cling stamp in the Jillibean Soup | Irish Farm House Soup large stamp set (JB0012) and knew that I wanted to use it on a layout to documents my son's bike riding journey. When he was learning to ride his bike, we took him to a very open space, so he learn without fear of crashing into something. Unfortunately he found every tree in the area and kept riding directly into them. No matter what we tried to do to help him over come his compulsion to aim for trees, he still couldn't avoid them! When I created this layout I really wanted the bike stamp to become a main feature. 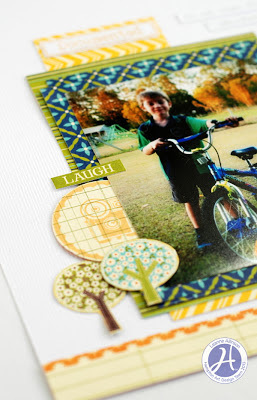 I stamped the image with VersaMark to create a watermark look onto the kraft tag. I then stamped a second image of the bike with a slightly darker ink (sepia) onto a second tag and fussy cut around it. Using foam tape, I've layered the fussy cut bicycle onto the same stamped image to make it pop on the page. 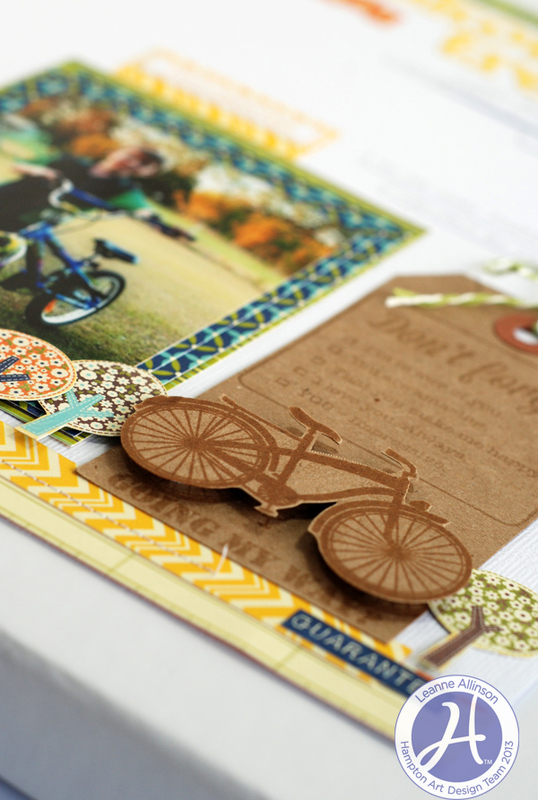 embellishments: Jillibean Soup | Grandma's Lima Bean Soup coordinating cardstock stickers, Bean Stalks, Kraft tags. other - cardstock, foam tape, typewriter. Darling page and loved the tree story.